elegiac and devastating in its portraits of colonial grandeur and pretension, Half a Life represents the pinnacle of Naipaul's career. Middle Passage (1962) extends this analysis of the social order to other areas of the West Indies. His novel, A Bend in the River (1979) set in a new African nation, depicts the difficulties ordinary people face during times of political upheaval. A Turn in the South (1989) is a sensitive portrayal of the American South. 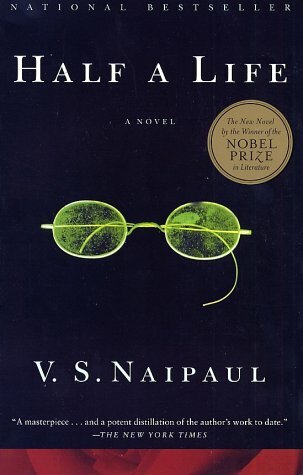 Naipaul is regarded by many as one of the best writers of our time, and he is a perennial nominee for the Nobel Prize in Literature, which he finally won on October 11, 2001.